Happy Cinco de Mayo everyone! I found this in a box of old family photos that I have been sorting through and thought it was the perfect pic in my stash for today! This is a photo of my older sister when she was 5 years old. I know she has a copy too so I can have fun with this one. My Dad always dabbled in photography and he took this one along with many more. I just love old photos and I'm blessed to have so many of my own. This was taken in the late 1930's. What a cute picture. 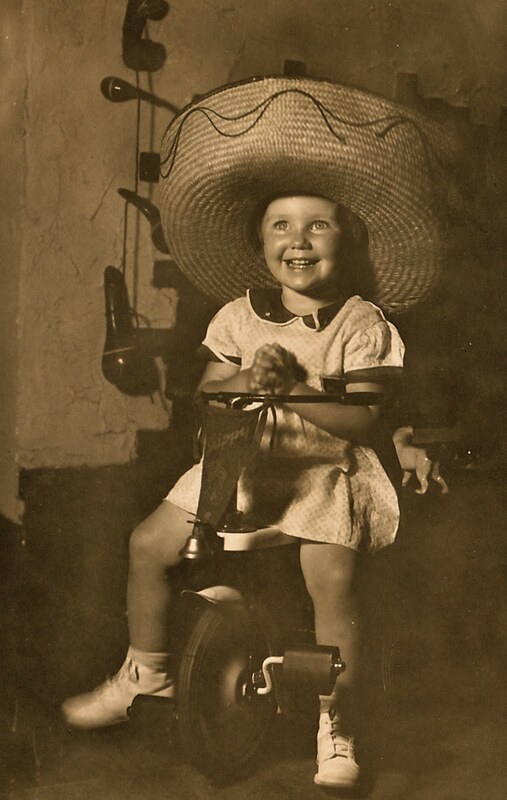 I just love old photos :) Happy Cinco de Mayo! Love the expression on your sister's face. Super!